The Bolingbrook Babbler: Abductee uprising! A Bolingbrook Babbler special report. Abductee uprising! A Bolingbrook Babbler special report. 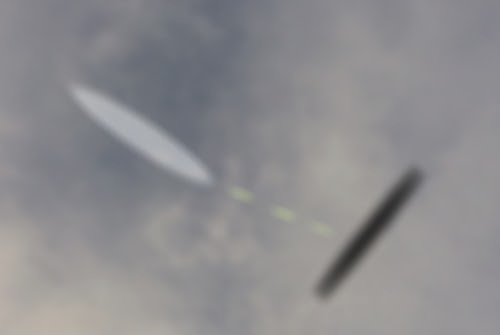 Two UFOs dogfight over Clow UFO Base. What started as a surprise attack inside a UFO hanger turned into the bloodiest conflict at Clow UFO Base since the Bolingbrook Time War. After a week of fighting, sources estimate the total casualties at over 2900. Damages to Clow UFO Base are expected to be in the trillions of dollars. The attack on Clow was part of a larger surprise attack against all of the New World Order’s global UFO bases, and against UFO bases on planets with civilizations that have not been brought into the interstellar community. Total causalities on Earth could reach as high as 100,000, and damages could exceed all nations’ combined net worth. Bolingbrook’s mayor Roger Claar praised the NWO and Clow security forces. “These brave men and women fought to preserve Bolingbrook’s freedom and the right of every resident to have a gateway to the stars in their community. Claar also urged all residents to fly the Bolingbrook Flag in honor of those who died liberating Clow from the invaders. The invaders claimed they were an army of former and liberated UFO abductees from around the galaxy. Armed by “advanced civilizations sympathetic to our cause,” they said their interstellar upraising was their attempt to “liberate indigenous civilization from the exploitation from imperialistic interstellar civilization.” They specifically called for an end to experimentation on the citizens of uninitiated civilizations and for all civilizations to be made aware of the existence of the interstellar community. Malcom Z. Jamison, leader of the forces attacking Clow, said that Bolingbrook’s leaders were especially culpable because Bolingbrook regulates alien abductions. Jamison also accused Earth’s skeptical movement of committing crimes against humanity. The first attack on Clow, began the night of March 1, as troops hiding in a cargo shop stormed out of this ship. Aided by the Anonymous Collective, they managed to secure the landing bays, and shut down Clow’s air and space defenses. This allowed reinforcements to land and take over more of Clow. At the peak of the invasion, the alleged former abductees controlled over 50 percent of Clow, and besieged the Skepchick and Committee for Skeptical Inquiry’s consulates. The CSI’s consulate was breached when one of their negotiators ordered the force field lowered. Once the NWO’s space force was able to prevent the invader’s UFOs from entering the solar system, Clow security forces, with the help of the NWO’s army, were able to launch a days long campaign to retake Clow. The abductee invaders were finally invaded after H.A.A.R.P. fired several beams at Clow. According to eyewitnesses, the last surviving invader yelled that they could take his life, but the world would know the truth by reading The Daily Grail web site. The fighter then charged the security forces and was killed. NWO liaison to Clow Jeff Wagg was held by the invaders as a POW, and released unharmed. Clow and NWO officials expect Clow UFO Base to be operational again in May. Clow Airport was unaffected by the fighting and will remain open. For more stories about the Interstellar Abductee Uprising, including accounts from Area 51, and more of the Interview with Jamison, pickup the print edition of The Babbler at any Bolingbrook Newsstand.